Popular with startup companies; little if anything related to the territory itself. The Internet country code top-level domain (ccTLD) .io is assigned to the British Indian Ocean Territory. Google's ad targeting treats .io as a generic top-level domain (gTLD) because "users and webmasters frequently see [the domain] more generic than country-targeted." The .io domain extension has existed since 1997. The first .io domain was registered in 1998, when Levi Strauss & Co. registered the domain levi.io. Labels for .io domains may only contain alphanumeric characters and hyphens, and must be between 3 and 63 characters long. Domain names cannot begin or end with a hyphen symbol, and may not contain two consecutive hyphens. The entire domain name may not contain more than 253 characters. The right to administer domain names is given to approved organisations by the Internet Assigned Numbers Authority (IANA). The Internet Computer Bureau (ICB) administers .io domains. This domain name registry is a British company, and operates for this purpose under the name NIC.IO. The company also holds the rights to sell the .sh and .ac domains, the top-level domains for the Island of Saint Helena and Ascension, respectively. Individuals and organisations are allowed to register .io domains. Applicants for the registration of .io domains do not need to be registered or established in the British Indian Ocean Territory. Third-level domains, such as "xyz.com.io", can only be registered by an inhabitant of the area. Any second-level domains used by NIC.IO and top-level domains cannot be used as a third-level domain. For example, the domains "com.com.io", "org.com.io", and "biz.com.io" are all restricted. Domain names in .io may not be used, "for any purpose that is sexual or pornographic or that is against the statutory laws of any nation." Breaching this requirement, "NIC.IO reserves the right to immediately deactivate the offending registration." .io domains may be registered for a minimum of one year, and a maximum of 5 years. Domain names in .io are priced higher than those in other TLDs. Registering an available .io-domain currently (at 1 March 2018) costs US$90 per annum. The .io domain has considerable usage unrelated to the British Indian Ocean Territory. 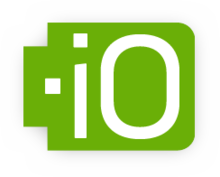 In computer science, "IO" or "I/O" (pronounced I O) is commonly used as an abbreviation for input/output, which makes the .io domain desirable for services that want to be associated with technology. .io domains are often used for open source projects, application programming interfaces ("APIs"), startup companies, video games, and other online services. The TLD is also used for domain hacks, as the letters "io" are an ending of many English terms. For example, Rub.io is a shortened URL that was used for the 2016 U.S. presidential campaign of Marco Rubio. One reason given for the TLD's popularity is that it stands out by being shorter than other TLDs. Also, the .io TLD is less occupied than other TLDs, so it's more likely that a given term is available there. In Italian, io is the first-person singular pronoun (English "I"), which makes the domain appealing for personal websites. According to a Gigaom interview with Paul Kane, chairman of the Internet Computer Bureau, the domain name registry is required to give some of its profits to the British government, for administration of the British Indian Ocean Territory. After being questioned as a result of the interview, the British Government denied receiving any funds from the sale of .io domain names, and argued that consequently, the profits could not be shared with the Chagossians, the former inhabitants forcibly removed by the British government. ^ "IANA — .io Domain Delegation Data". iana.org. ^ "Geotargetable domains". Retrieved 6 May 2013. ^ "whois-search.com - domain name search - Whois Search". Retrieved 2017-12-31. ^ "RULES for the .IO Domain and Sub-Domains". Archived from the original on 2005-10-23. Retrieved 2005-07-30. ^ a b "NIC.IO - The Indian Ocean .IO Domain Registry and Network Information Centre". nic.io. ^ ".IO Domain Name Registration price list". www.nic.io. Archived from the original on 2017-01-22. Retrieved 2016-10-02. ^ Beattie, Russell (2013-02-12). "The rise of .io domains for well crafted web services". Retrieved 2014-04-24. There's lots of open source projects (Redis, Brackets, Launcher), a few mobile-app landing pages (Avocado, X-Ray), a ton of new web apps and services, several conference pages (Lightning, Renaissance, Resonate) and a few older companies or organizations who've changed their name to take advantage of a cleaner .io name. ^ "IO Domains in Alexa Top 1 Million". Retrieved 27 May 2015. ^ "Why are startups turning to .IO?". Name.com Blog. 2013-10-17. Retrieved 2017-04-05. ^ David Meyer (2014-06-30). "The dark side of .io: How the U.K. is making web domain profits from a shady Cold War land deal". gigaom.com. ^ "House of Lords Summer Recess 2014 Written Answers and Statements". parliament.uk. 2014-08-11. Retrieved 2019-04-04. ^ David Meyer (2014-07-11). "UK government denies receiving .io domain profits". gigaom.com.